"All You Can Eat", the third album from Los Angeles glam-metal jokesters STEEL PANTHER, sold around 13,000 copies in the United States in its first week of release to land at position No. 24 on The Billboard 200 chart. The CD arrived in stores on April 1 via Open E/KLS. STEEL PANTHER premiered "All You Can Eat" in a unique interactive experience. 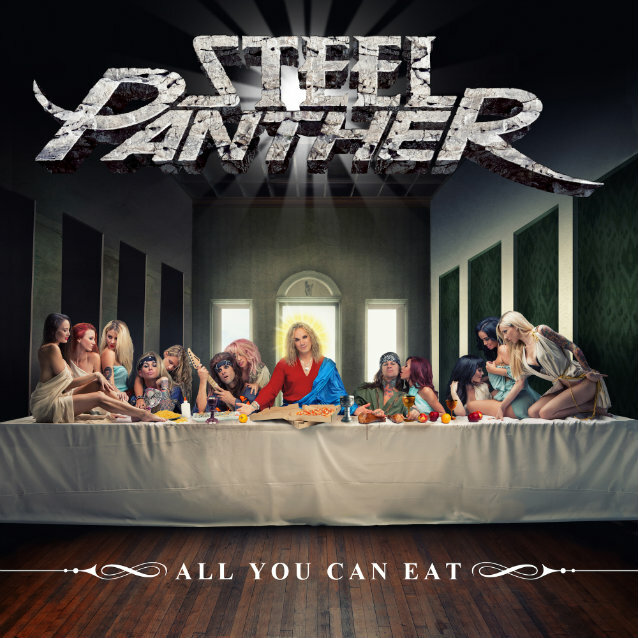 The premiere is taking place here and features a television set that broadcasts all things STEEL PANTHER, including the complete album stream of "All You Can Eat". 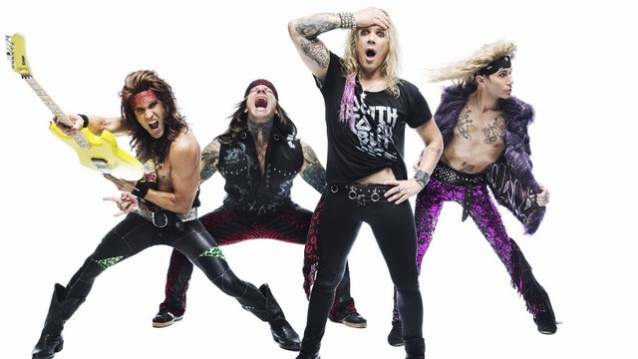 STEEL PANTHER has also launched a worldwide "hotline" that fans can call for up to the minute updates on the band. Fans who call 941-75-Steel (941-757-8335) and verify that they are over 18 are sent an immediate link to see the band’s latest unreleased video for the song "Gloryhole". The video was shot in an unnamed glory hole location and features a performance by STEEL PANTHER in the stalls as only they can do it. A few surprise visitors showed up that day during filming and can be seen in the video as well. The phone number has been getting major attention with fans around the globe calling in to experience what STEEL PANTHER delivers on the "hotline."